The residents of Ontario in Canada have been using a lot of water to irrigate their lawns even during the summer. This has lead the Canadian officials to designing a social marketing program that will sensitive the public on the need to reduce the amount of water used for irrigation. This will involve changing their behaviors in order to comply with the new requirements. Before engaging the target audience into the social marketing campaign, it is important to carry out a research. The research will involve visiting the area and assessing the condition, before making any plans. This will be achieved by various research methods such as focus groups, observation, and surveys. Surveys will involve collecting statistical data on the number of residents, who have been reached with the message, and those, who adopted the new behavior after a certain period of time. Psychological methods will also be used in the research in order to have the results that are more definitive and carryout any modifications needed. To establish new strategies for watering the lawns. The target audience is the residents of Ontario in Canada. 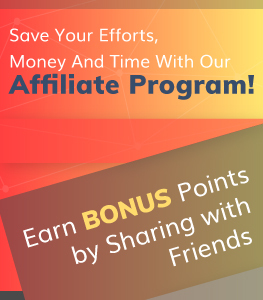 In order to ensure that the message reaches the maximum number of target audience, various channels will be used such as providing plastic caps with reminders printed on them. It can be placed on the outside faucet or given to some residents as gifts, which will help to promote our message. Education of the consumer will be done especially through door–to-door campaign. In this case, residents will be asked to sign a pledge to water their lawns only once, if it did not rain for a week, or to water it on even or odd days. The watering should only be one-inch depth. The number of residents signing the pledge will be recoded. The following are the behaviors to be changed by the program. Firstly, overwatering the lawns even during summer is a major behavior that needs to be changed. This is because this behavior results in increased cost of providing water. Secondly, lack of knowledge on the essence of conserving water has been a major behavioral factor that makes majority of the residents to overwater their lawns. Finally, residents must develop a compliant behavior that will make it easy for them to comply with the strategies meant to conserve water. The strategies for change will be based on the data collected earlier, which will provide vital information in relation to the target audience. The first strategy would be to create awareness on the effects of overwatering lawns during the summer. This will involve telling them that when a lot of water has been used, the resultant effect is that there will be shortage of water. On the other hand, conservation of water will reduce the necessity to build new water plants, which implies additional costs on the part of the government in Ontario. The second strategy will involve self-efficacy, which involves the ability of an individual to adapt change (Weinreich, 2010). This will involve determining whether the residents of Ontario are in a position to use limited water in watering their lawns and still maintain them. After the implementation of the marketing plan, an evaluation was conducted to determine the extent to which people had changed their behaviors. It was noted that the households had decreased the lawn watering by 54%, while the frequency of watering the lawns per hour also decreased by 15 %. Due to this changed behavior, more than $1 million was saved, as there was no need to develop new water plants. Thus, although the research and intervention cost was approximately $80,000, the amount saved was far higher than the amount used.